When buying a piano, know its secrets, And know the secrets of playing it well. 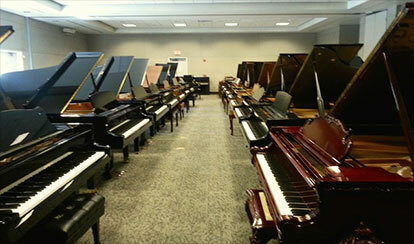 This semi-annual event is a great opportunity to get a wonderful piano at an unbelievable price. We really urge you to call and make an appointment at 800-474-2669. 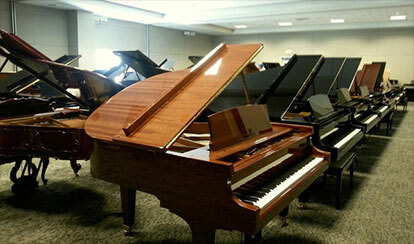 Here is an example of our events : American Piano Institute’s Sale Event at the Ontario Convention Center. Over 20 prominent manufacturers and rebuilders were represented worldwide. The piano was my first toy and later my passion. 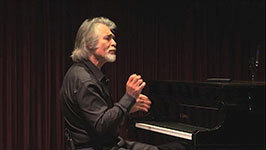 I became a concert pianist, Professor of Piano at the Conservatory of the National University of Buenos Aires, lecturer on Piano History & Technology, and a consultant for the piano industry. I conducted master classes at the University of Mississippi, the Catholic University of Lima, Peru, El Camino College, Saddleback College and performed in numerous recital and symphony halls, internationally. I can say it without a trace of doubt: the piano helped me to enjoy a fuller life and become a better human being. 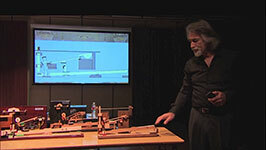 The American Piano Institute (API) of which I am now Artistic Director, is an organization committed to promote public awareness about the benefits of learning music, playing the piano, understanding Piano History & Technology and attending live concerts. 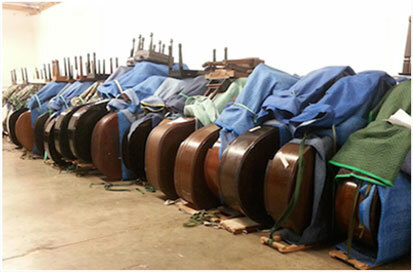 With funding from the historic Hollywood Piano Company -since 1928 the main purveyor of pianos to the film industry- we are strong supporters of numerous orchestras and art programs for kids in Southern California and beyond. 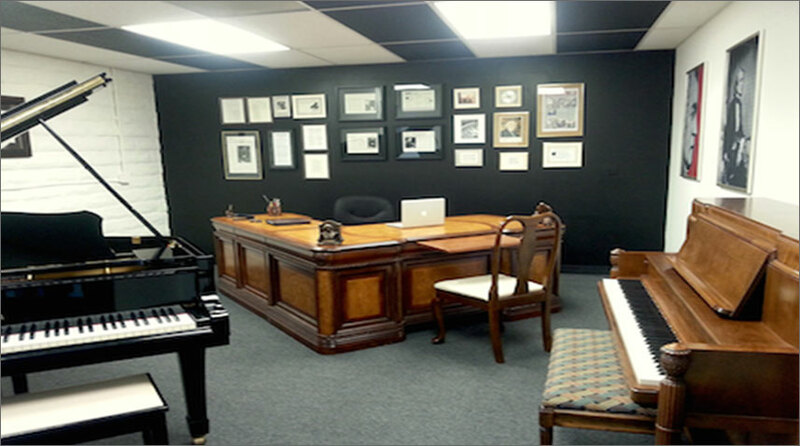 On the industry side, API coordinates with piano manufacturers and rebuilders worldwide putting together the best of piano choices and simply guiding our customers through a sometimes confusing market. Our guidance assists in leading people to sound decisions and substantial savings. Unlike the old days when pianos were made with family pride, piano manufacturing today is dominated by hedge funds companies and mega-corporations with mass production capacities of 120,000 pianos per year. They are also the owners of the most prestigious brands from old days… Now a brand name may not be synonymous of a particular quality: three or four levels of quality may be presented under the same name or company. The same product may adopt different names and prices… And one corporation may cater to the other, adding to the cost. The best buying choices may or may not be the few highly promoted brands the public recognize the most. Reputable brands with identical or superior quality products may cost substantially less. During a pre-arranged appointment with you, I would like to answer those questions and many others you may have. 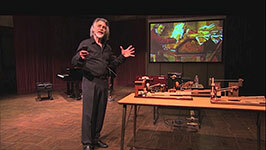 I will offer to you my best guidance and judgment to find the best instrument you can buy. That’s one of my my tasks. API has access to a large selection of more than 400 new or pre-owned baby grands, grands, players, verticals and digital pianos from premium manufacturers. Please call me in advance to arrange an appointment. My direct number is 310-409-9267. 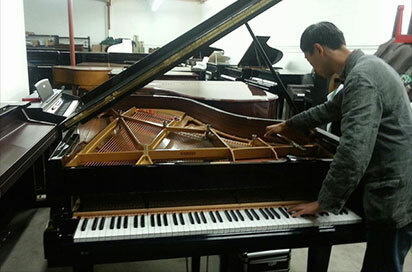 Partial view of American Piano Institute’s warehouse in North Hollywood, California, were used pianos are waiting on its side before going through a 35 point extensive check up, reconditioning, detailing or complete rebuilding.